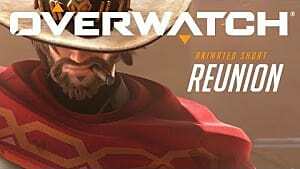 The newest Overwatch hero Ashe wasn't originally planned to be a playable character in the game. She was simply a part of a short animated film "Reunion," where she played the role of the Deadlock Gang member. Fortunately, the developers figured out that Ashe is more than just cartoon character and made her into a true hero. Ashe is an excellent midrange character that carries a rifle, which is her main weapon. But that is just the tip of an iceberg of this incredible hero. If you want to know more about her abilities, strengths and weaknesses, then follow our guide below. Viper is Ashe's primary weapon that can deal damage in two different modes. You can shoot Viper faster with a slightly reduced damage, or slower but with a higher damage using her scope. But even with the latter mode it would be hard to insta-kill another character, unless Ashe receives some sort of boost. This doesn't mean that Viper is a weak weapon. On the contrary, it can easily disrupt any enemy and prepare them for others to finish them off. Here is a solid companion to Ashe's rifle. 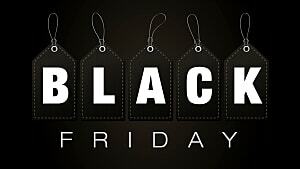 You can throw a bundle of dynamite that explodes with a short delay. 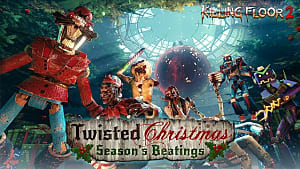 But you can speed up the explosion by shooting it with your shotgun, and this is where things get really fun. Before throwing a dynamite you need to aim your weapon at the target, and the dynamite will follow the crosshair. As soon as the bundle reaches the crosshair you can shoot it for an immediate explosion. But be careful with this ability as it can also burn Ashe herself. So stay away from shields and such that can deflect it. 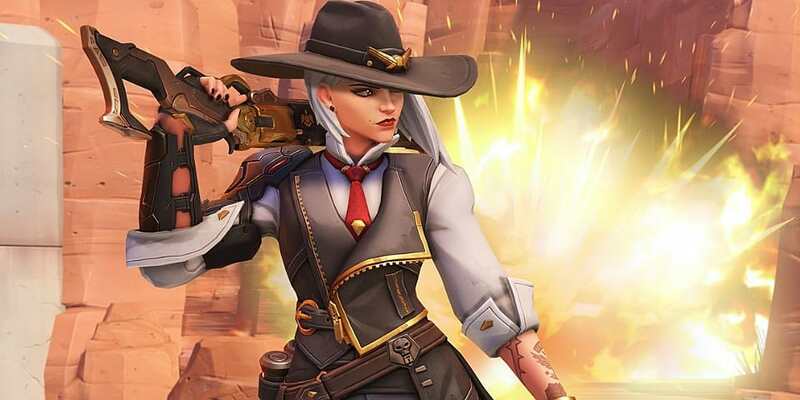 Ashe carries a second weapon in her holster, which is a shotgun. It can help her out in a close combat where her Viper doesn't seem to be that great. And she can use Coach Gun to propel herself into the air and out of combat, as this weapon has a serious knockback. This is not the type of gun you want to use for headshots, but if you need to shake up the situation, then it fits just right for that kind of purpose. Now here's something completely different and unexpected. 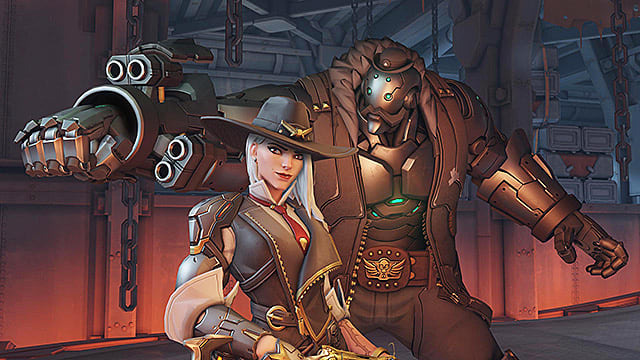 Ashe's ultimate ability summons her sidekick B.O.B that can be easily perceived as another character. 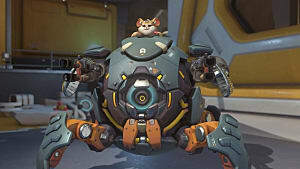 B.O.B can be buffed, healed and even hacked. 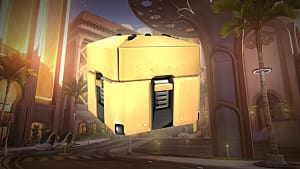 If the enemy player allows B.O.B to catch them, then it's over for them. 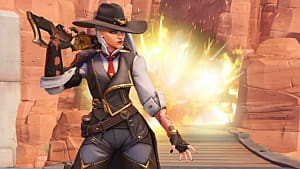 In this case he will use his excruciatingly powerful uppercut that creates a perfect opportunity for Ashe to either use her Dynamite or Viper to finish them off. B.O.B is an excellent ability when used right, but there are also a few cases when he can get in the way of you winning the match. B.O.B is a fantastic supporting character when used right. For example, if you have Ana as your ally, she could apply her Nano Boost on B.O.B and make him almost invincible. 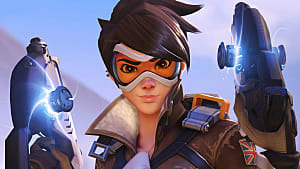 However, if you're playing against Sombra, she could easily Hack into B.O.B's AI and stun him for an entire six seconds, which is huge in such a fast-paced game as Overwatch. 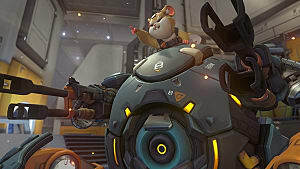 There are a few more interactions where B.O.B can be easily disrupted, such as against Reinhardt's Earthshatter or Wrecking Ball's Minefield. This means that summoning B.O.B isn't always a universal solution. 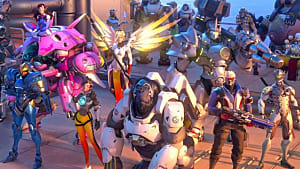 Pharah is one of the most powerful heroes in Overwatch and it is usually really hard to kill her due to high mobility and both of her jet abilities. But you can use Ashe to really break Pharah's gameplan and blast her out of the sky using Viper and Dynamite, which are perfect solutions for long and midrange combat. In case Pharah sends her barrage of mini-rockets at you, just use Coach Gun to quickly disengage with the area of effect. As you see there is more than enough tricks under Ashe's sleeves to make Pharah players cry. There is one distinct feature of Ashe's weapons that we haven't discussed yet, and that is how she reloads her weapons. She doesn't simply replace full clips of ammo, but places each bullet separately. 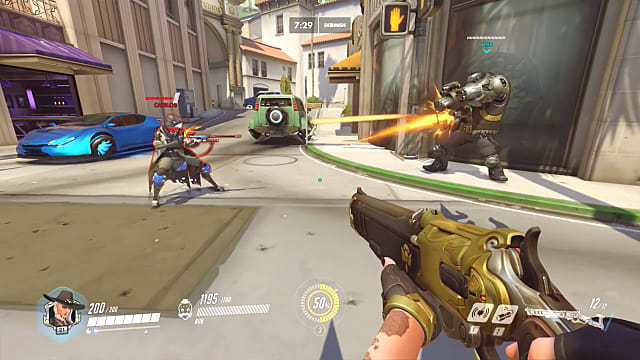 This should really make some players impatient, but you need to learn to always reload Ashe's weapons in order not to stay empty at an important moment. Taking this into account try to preserve your ammo and shoot only when you are absolutely sure that you will hit your target. Also, don't waste your dynamite on one target, but try to hit at least two other players with it. It's a really powerful ability that shouldn't be wasted.